Resident Evil 2 - Leon, Claire. Claire, Leon. We had survived the mansion but there was more than just the story of the doomed S.T.A.R.S. Resident Evil 2, considered by many to be best in the series, blew the doors off and took us through the other side of Umbrella’s evil and its impact on the town. Raccoon City became more than just a word, it became a character – one that was falling apart in front of us and trying to kill a rookie cop and a young woman at the same time. Zombies&Toys continues its editorial on Capcom’s undead classic and why RE2 is still at the top of its game. Raccoon City has fallen to a rampant virus. Newspapers read “THE DEAD WALK” and the city’s law enforcement has proven unable to protect the people. Ignorant of the horror befalling the city, new police recruit Leon S. Kennedy arrives just in time as young Claire Redfield enters the city looking for her brother, Chris. As the two lives intertwine, Kennedy and Redfield must deal with the shambling corpses of Raccoon City as well as bio-engineered creatures and a mutated mad scientist. Resident Evil 2 offered an engaging storyline of horror, suspense, intrigue and betrayal (again!) while giving gamers the chance to survive the night…barely. All this on two discs and pushing the hardware of the then-state-of-the-art Playstation. At its time, Resident Evil 2 was the peak of console gaming. The clumsy and clunky graphics from the original were replaced with better CGI cut scenes, more fluid in game characters and more interactive backgrounds. Remember when Leon meets the Licker for the first time or when Mr. X corners Claire? The broken glass from windows and the metallic shine to Umbrella machinery made RE2 stand out from the pack. Game play and story is where Resident Evil 2 truly shined. 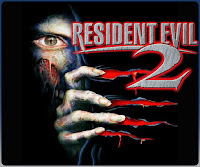 Where RE1 was a mash-up of B-horror movies, Resident Evil 2 carved out a niche of its own. It was part zombie film. Part mad scientist nightmare and ultimate apocalyptic survival-cop-buddy movie. It was action, terror and more survival horror rolled into one. Leon and Claire outran giant alligators. They had decisions on when, where and if they could fight the long coated giant that stalked them through town. Players were even given multiple choices and options that would alter the game. 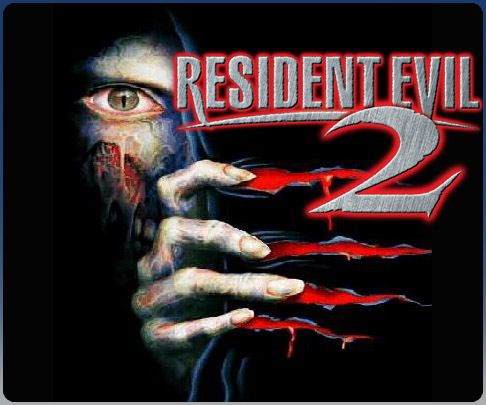 Sold on two game discs, RE2 and its game play was a trailblazer. Resident Evil 2 will always stand out because of its uniqueness and its gaming appeal. Quality is timeless and it offered a generation of players the chance at true horror immersion. We felt empowered when we found the handgun but were quickly thrust into terror when the window broke and zombies spilled out on fire. We were jumping out of our chairs when Dr. Birkin twisted and turned before our very eyes. Resident Evil 2 was a perfect storm. WHAT’S NEXT – Our look at Resident Evil 3 or FIGHTING ZOMBIES IN A TUBE TOP?